Placencia is a small town at the end of a long 16 miles of white sandy beach peninsula. Belize is the only English speaking country in central America. Belize is an amazing country, with incredible nature and friendly people. 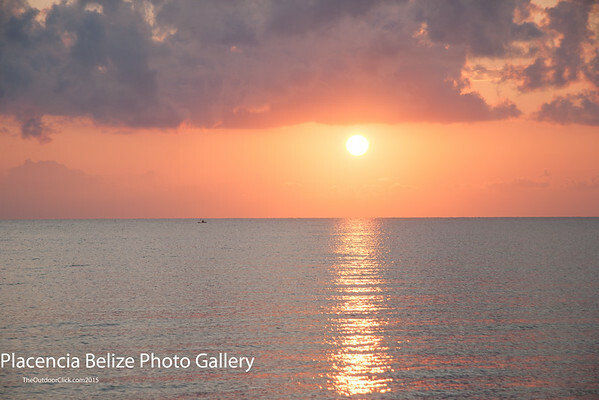 Belize has the lowest population density in Central America and is home to the Belize barrier reef, one of the largest coral reef systems in the world. Belize has a tropical climate with pronounced wet and dry seasons. Belize currency is pegged to the US dollar at a 2 to 1 ratio. Placencia has a reputation of being the “caye you can drive to”. Driving to Placencia is convenient; However, The car-free boardwalk is the most notable and the pleasant way to see Placencia. Lydia’s Guest House (*Highly Recommended) $25 us Lydia’s guest House has communal kitchen, bathrooms, and front porch hammocks. After a day of snorkeling, laying on the beach, or one of many activities Lydia’s is a nice place to come back to. The guest house is just off the beach and has convenient access to town. The shared bathrooms are very clean, and there were 3 bathrooms for 4 rooms. Tipsy Tuna sports bar. on the Beach, good food, tourist and local hot spot. COFFEE Above Grounds Serves Guatemalan grown coffee. We talked with a man who turned out to be the owner. He’s totally worth supporting. For a country that grows coffee, it is surprisingly difficult to find a cup of coffee in Belize. Sailing Placencia has many sailing excursions out to (Glover’s reef) (South Water Caye Marine reserve) Glover’s & South Water Caye are the 2 most amazing islands in the outer Belize Barrier Reef. Chill at the Beach Great thing about the Placencia Peninsula is that no matter where you stay you’re no more than a 5 minute walk from a beach. Humming Bird Highway Drive through Belize’s mountain range,visit (Blue Hole National Park), and photograph some of Belize’s most amazing landscape.